Lord Vishnu, The Principal Protector God of Hindu Mythology, was after my secretary to seek an appointment. He wanted to take my advice on the Sustainability Management at the Kingdom of Gods. His email to me said that sustainability is not just working out at the Heavens and he thought the problem was with the poor sustainability management on the Earth. I didn’t have enough time for the Lord as I was busy with some assignments with the World Bank. I proposed instead a quick Skype chat. When I heard his story, I said “I am not really surprised – first of all you don’t have clear job description and allocation of responsibilities when it comes to sustainability management. You are the supreme God for Protection& Conservation but the other Gods like Vayu, Agni, Varuna and Goddess Earth who represent important elements of nature i.e. panchmahabhuta are not well connected to you. They are given sub-ordinate importance like Minister of States in India. You folks don’t meet with each other on regular basis and take up a coordinated approach. There is no common agenda and no practice of sustainability reporting like we do. You remain a Page 3 personality with thousands of temples floating around. The other Gods representing panchamahabhuta who matter to sustainability don’t have many dedicated temples – in fact you can count them on hand – like Tiruvannamalai temple in South India which has in fact manifestation of the five elements by Lord Shiva and not you. See http://www.greenmesg.org/temples_chennai/pancha_bootha_sthalams_chennai.php. Your relationship with Panchamahabhutas is therefore quite confusing at the operational level. Again, there is no integrated perspective given to the worshipers as they worship these panchamahabhutas separately in separate temples. For sustainability communication there should be been just one common temple with you and Lord Shiva at the Centre with Lord Brahma guiding the knowledge. I dont like this isolated approach. I agree Dr Modak, Lord Vishnu said. Your company visiting card shows all the five elements, well -connected and well balanced. I thought that was besides the point. To cut the conversation short, I said “Well Lord, this is my top end advice, but meet me later for a more detailed discussion. Let us restructure the Gods and your organization. Please get Lord Indra too as we need to take on some administrative reforms and a new communication strategy. Meet me on January 23 but before coming to my office check with my secretary – I am awfully busy”. I closed the Skype call. On January 21, I suffered a massive cardiac attack and was rushed to Hinduja Hospital in Mumbai on emergency. On 21st night, the doctors stabilized me and decided to do an Angiography followed by Angioplasty on 23rd January. I was waiting for my turn for the Operation Theater (OT) and was lying on the ICU bed (which seemed to me like a First class seat on Lufthansa). Dr Rajani – a very busy heart specialist – was to perform the “procedure” on me. Just then, a doctor with unusual tall height appeared in my ICU cubical. He had an impressive mobile and an imported stethoscope. Soon, his image blurred and instead Lord Vishnu appeared – his mobile was replaced by a Shankha and stethoscope by a Pasha. I was shocked to see him. How the hell did you get in here Lord Vishnu? Didn’t you check with my secretary? She would have told you that I was hospitalized. I was really irritated with his Godly intrusion. Lord Vishnu spoke to me in Malayalam. And then realized that he is not speaking the language I understand. Sorry Dr Modak, I was busy understanding your case papers with the nurses in the ICU and had to quickly learn the Malayalam language to know what’s gone wrong with you. I did try calling your secretary but kept getting a message not in the reach so decided to check your whereabouts myself. That’s how I reached this Hospital. But who issued you the Gate Pass? I don’t want you to have problems with Hospital administration. Oh Don’t Worry, Lord Vishnu said, but I had tough time locating you until I said that you work for the World Bank. I did not know that this hospital has a special ICU unit for the staff and consultants of the World Bank! I also came across a special ICU unit for the Ministers where only by-pass surgeries are performed. Apparently when asked the choice between a plasty and a by-pass, the Ministers are interested only the by-pass option as they are generally used to – in practice. And there is another special ICU ward where only rich get admitted to fit stents made of gold. I was not interested to know these details from Lord Vishnu and was in no mood for such knowledge acquisition. I told him that I will be moved to the OT any time now and that he should simply disappear and take another appointment from my secretary. Lord Vishnu however insisted that he accompanies me to the OT just to give me company. How can you do this? And in this Peetamber dress? Do you realize this hospital has a serious business and the hospital is very strict with the rules. Besides, you don’t even have a Gate pass. I repeated. I didn’t quite like this empirical approach of diagnosis. “You should have washed your hands with this disinfectant spray prior touching me” I told the Lord. But Lord Vishnu just ignored my protest. He rested his hand on my forehead for a while. He then suddenly transformed himself to Dr Rajani. He called the nurses to wheel me to the OT. They did so obediently with all the case papers stacked on the trolley. We crossed the corridors with swinging doors and knifing the chill around us. When we reached the OT, I was worried what happens if real Dr Rajani was already present. Fortunately he was not. The Team was however there. They positioned me on a narrow bench under a scanning machine. The Anesthetist put in the needle. Lord Vishnu (as Dr Rajani) then turned to the Anaethesist and said “Fire a shot of 900”. A scintillating fire swirled from my wrist all through the body like a Sudarshan Chakra. Images of the movement of the dye started to appear on a large screen. 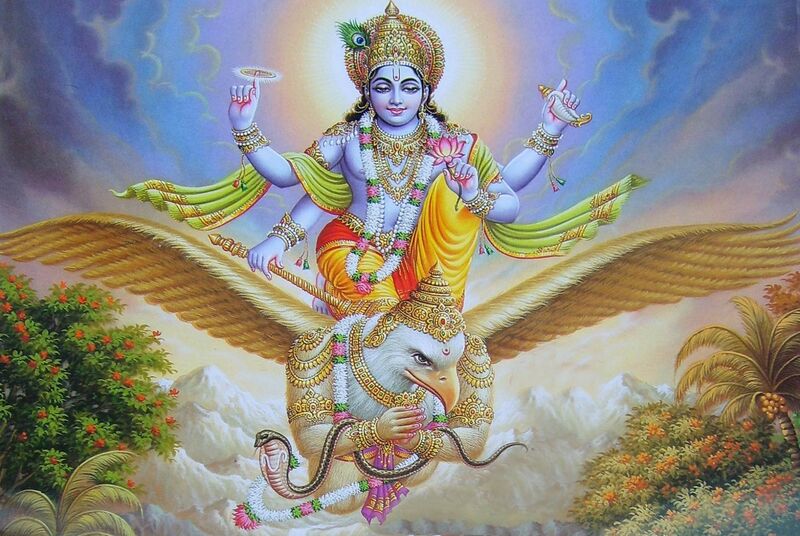 Lord Vishnu told his Team mate “Take me to 100x resolution right here”. “Yes Sir” said he. Just then the real Dr Rajani walked into the OT. I then saw an amazing transformation. Lord Vishnu cleverly blinded the Team for a second and moved in this tiny time inside the body of real Dr Rajani. I could see a visible shake in him as if he was possessed or getting controlled. The Team Assistant said, “Yes Sir, 32 it is – But Doc, whats the kind of halo I see around you as you are bending down to the screen? Very strange. Indeed I too noticed the halo. “You seem to be in Good Hands Dr Modak” Someone said. I don’t know or recall who said this. The procedure got over with no event as the doctors say. I decided not to invoice Lord Vishnu for my advice on sustainability. Urbanization is inevitable. Although efforts are made to reduce the rates of in-migration to cities, the pace of urbanization has not dampened. Water is one of the affected commodities. 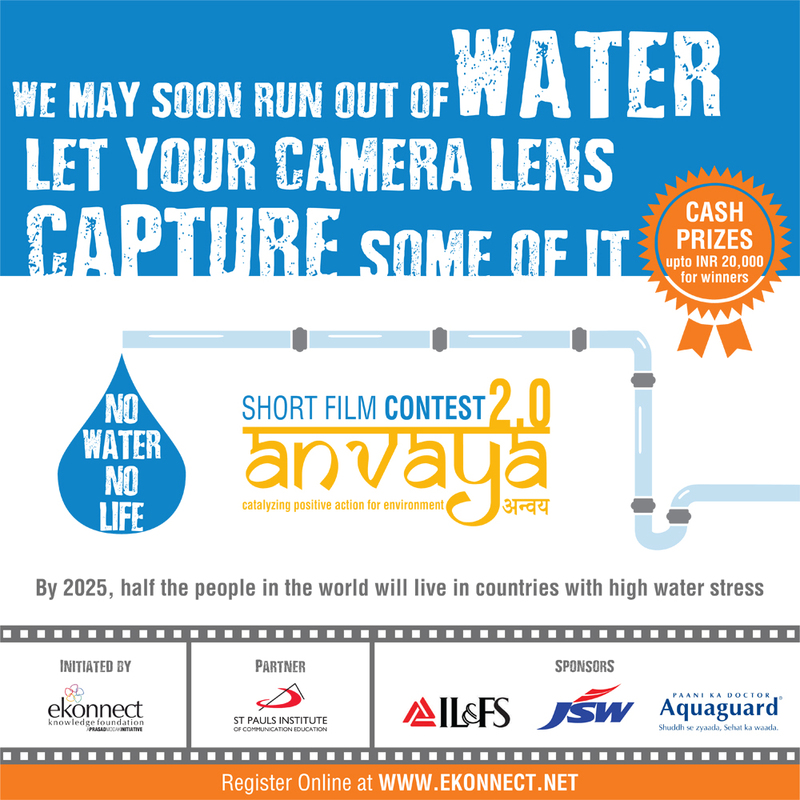 We as water and sanitation engineers and planners should be prepared to face this challenge. As if these challenges are not enough, climate change has further added the new dimensions of extremums and uncertainty. Flash floods and continued droughts in and around our cities are already threatening the very balance of the water cycle. The distortions are becoming evident. We will soon see more changes in the patterns of precipitation, temperature and ground water levels. Coastal cities will face the consequences of sea level rise and the saline water intrusion. We will need to mitigate and adapt to climate change– something we as water engineers are not familiar with. Climate science and engineering will certainly need to be part of the curriculum of water and sanitation engineers. But who will teach this subject will remain a moot question. It is strange that while some of us recognize the risks to be faced in the future or know about consequences of “costs of inaction”, we seem to still talk more and practice less. There is indeed a relatively less percolation on how to deal with future risks and develop clear national guidance. These interventions need to follow integrated approaches, undertake planning on the canvas of sustainability and lead to revision of engineering standards that we follow today. Low Impact Development (LID) of cities, resilient designs of storm water networks and promotion of recycled water are few examples of future strategies. As the shortages become more extreme and water supplies are cut, it has raised awareness that we need to find alternative resources. One option is to go for organized use of recycled water. I often wonder when will be we start organized use of recycled water in our cities. But are we in India prepared enough? And is it something we can practically achieve? Recycled water is most commonly used for non-potable (not for drinking) purposes, such as agriculture, landscape and public parks. Other non-potable applications include cooling water for power plants and oil refineries, industrial process water, toilet flushing, dust control, construction activities, concrete mixing, and artificial lakes. Box – 1 provides a purple pipe story from the United States. In the United States, integrated approach to storm water is used with reservoir and groundwater management with a decentralized strategy. Inspection and review processes towards management of risks and enforcement of public education and training have been the highlights. You would also see a gradual move towards toilet to taps – Singapore being one of the early examples. In India,we will need massive public education and a campaign on how to live with and use the purple pipe lines in a safe and sound manner. This is not going to be easy given the presence of large slum population cities and poor water distribution infrastructure. People must know what’s flowing in the purple pipe. To meet future water demands while reducing our dependence on imported water, the City of San Diego has built the North City Water Reclamation Plant and the South Bay Water Reclamation Plant. These plants treat wastewater to a level that is approved for irrigation, manufacturing and other non-drinking, or non-potable purposes. Recycled water gives San Diego a dependable, year-round and locally controlled water resource. Every customer site, wanting to connect to the recycled water distribution system or expand their existing on-site system, must go through a plan review and inspection process by the City of San Diego and the County of San Diego Department of Environmental Health. The reviews and inspections are mandated by California State Code to ensure the appropriate regulations are followed and the site is safeguarded from a potential cross-connection between the recycled water system and the potable water system. Linking water recycling and conservation through Low Impact Development (LID) and use of natural systems to the extent possible have been the See Box-2 for a case in Australia on Water Sensitive Urban Design (WSUD). Water Sensitive Urban Design (WSUD) plays a big role in the integrated approach to urban water cycle management in the Pimpama-Coomera area. It is a unique approach to storm water management, combining natural processes with landscaping and engineering solutions. WSUD aims to manage the quality and quantity of storm water to better protect the local environment and waterways. It is increasingly being used across the Gold Coast, particularly in developing areas such as Pimpama-Coomera. The technology behind the landscaping A number of ‘engineered’ water management tools are integrated through the introduction of WSUD. Rainwater tanks play a key role in reducing the volume of storm water runoff from homes and other buildings. Swales can replace traditional street-side kerbs and channels with visually attractive gullies and water features that mimic the natural environment. Drainage ponds Retention ponds act as natural ponds to capture storm water before slowly releasing it into the treatment system. Detention ponds are temporary storage ponds that trap excess storm water in times of heavy rainfall, allowing extra time for the water to soak into the ground. WSUD can also involve the use of constructed wetlands as treatment devices for storm water. These can be interesting environmental features and often have viewing areas and walking trails. They form habitats for local flora and fauna and use natural treatment mechanisms such as algae, to help further treat storm water before it reaches our waterways. Constructed wetlands are designed to replicate the natural aquatic environment and contain established eco-systems including fish, frogs and tadpoles that eat mosquito larvae and prevent breeding. The main concern about reusing wastewater is the potential effect on environmental or human health. There are limited studies on the subject, but so far there are no documented cases of disease outbreaks from using reclaimed water. But psychological barriers do exist. 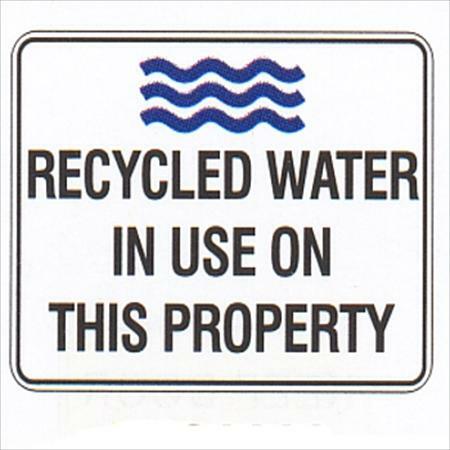 Even in the United States, use of recycled water is less than 2%. Just along the coasts of the US, an estimated 12 billion gallons of treated wastewater is discharged into the ocean or estuaries each day. That’s equivalent to 27%, or more than a quarter, of the public water supply. Institutional barriers, as well as varying agency priorities and public misperception, can make it difficult to implement water recycling projects. Finally, early in the planning process, agencies must reach out to the public to address any concerns and to keep the public informed and involved in the planning process. As reclaimed water rates do not cover the full cost of service for reclaimed water, the amount not covered by the subsidized rates is funded from potable water system revenues. Indian Industry has realized that in most cases, cost of the recovered water is less than the cost of the fresh water from other sources. Mumbai has been one of the early cities where water recycling has been practiced in buildings at Nariman Point and industries such as then Union Carbide. Chennai is another example often quoted for the leadership taken by Madras Fertilizers Ltd (MFL) and Chennai Petroleum Corporation Limited, (CPCL). In Mumbai, Rashriya Chemicals and Fertilizers (RCF) has taken a lead by practicing municipal sewage recycling. This trend of recycling water in the industry is strengthening day by day. As the water recycling plants are coupled with financial returns, the attitude of the industries is also changing fast. However these initiatives are limited to facilities and not on a city wide scale. Delhi Jal Board (DJB) is looking at recycled water to bridge the gap between potable water demand and supply. Approximately 25 per cent of this recycled water is presently being used for irrigation, horticulture and cooling in power plants by various agencies such as Tata Power Delhi Distribution Limited, Pragati Power Corporation Limited, CPWD and DDA among others. The Bangalore Water Supply and Sewerage Board already treats to tertiary levels close to 80 million liters of water per day and sells it to industries for non-potable industrial and landscape use. Bangalore however needs to develop a master-plan to reuse the entire city sewage. This also means that smaller STPs need to be encouraged through a policy framework which looks at the big picture, says my good friend Dr Ananth Kodavasal. All these stories are positive and very encouraging. We need to build on these examples. Climate change today is a threat to the city infrastructure and lives of the millions who live in the urban areas. The dimensions of risks are complex, especially on water & sanitation and we have to be ready to face the challenges. Water & sanitation sectors cannot be visualized in silos. Only then we could be prepared to face the risks of climate change. In combatting these risks, water recycling is going to play a crucial role. Recognizing importance of water recycling, several water recycling projects have come up in Indian cities – either due to water shortages, or better water economics or due to directives or enforcement. These interventions have however been limited to facilities e.g. buildings, office complexes, airports, small townships, industries etc. but not implemented on a city wide scale and on a programmatic basis. Indeed, this will take some time and effort. And there are going to be barriers as well as risks. We will need pilots & policies, recognize opportunities & risks and impart education & training to the public. A greater involvement of the private sector is also necessary. The road is not going to be easy. But do we have options? Technology, policies, economics and public education are going to play a crucial role. All this is possible if we get together to develop Master Plan on Water for the cities that follows Water Sensitive Urban Design (WSUD). Cities of tomorrow will have to operate in Full Circle. Halves of water and sanitation are not going to work if we are serious on combatting with climate change!